If you are a chef then you definitely understand that your productivity and comfort at work are largely influenced by your footwear. You can’t afford to wear the wrong shoes because that will not only make you very uncomfortable but also expose you to risks like slipping. But how can you ensure that the shoes you settle for are in fact the best chef shoes? Here are some properties that you should look out for. Cushioning: cushioning determines comfort because it will protect your feet from friction and direct contact with the shoe’s outer material. As a general rule, the more the cushioning and padding the better the shoe. However, you also need to ensure that the extra cushioning does not make the shoe heavier than you can manage. Remember that you have to wear them all day. Arch support: the most comfortable chef shoes are those that have sufficient arch support. This is even truer for women because they generally have higher arches. Please note that shoes with high arch support are absolutely bad for you if you have flat feet. That is because they can bruise the middle of your feet and end up making you uncomfortable while at work. Stain resistance: spills are pretty common in kitchens. But they can be embarrassing if you are the type of chef who enjoys an occasional visit to the front house to interact with diners. The last thing you want is customers thinking how dirty you must be on account of your stained shoes. Therefore, it is important to consider chef shoes that are spill resistant and very easy to clean. Laced or slip-ons: although there are some laced chef shoes in the market, it is safe to say that they are not the best considering they pose needless trip hazards. The best kitchen shoes should be slip-ons because they are not only easy to wear and remove but don’t come with trip hazards. In addition to that, laces usually pick up dirt and that makes laced shoes unhygienic compared to slip-ons. Extra features: the most comfortable chef shoes should also have extra features that add some luxury to your shoe-wearing experience. Such features include breathing holes, removable insoles, toe protection and any other feature that you might want in a normal shoe. Slip resistance: finally, you might want to choose shoes that have adequate traction on the soles. 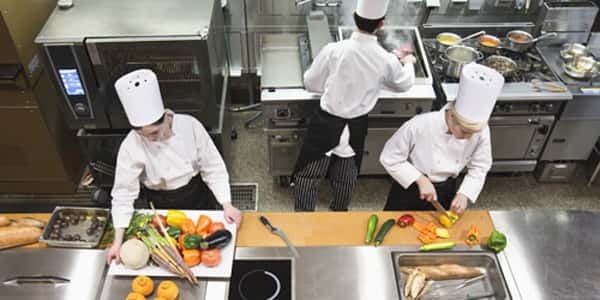 This feature is particularly very important to you as a chef because it determines your level of safety and ease of mobility. For that reason, we have covered it comprehensively in the next section, so read ahead and learn more about slip resistance in chef shoes. It is normal for a kitchen to have grease, spilled foods and liquids and many other substances on the floor. Such substances are health risks because they can make you slip and fall easily. However, you can avoid the risk by wearing non slip kitchen shoes. 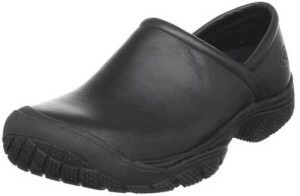 These are slip resistant kitchen shoes that feature very high traction, especially in slippery environments. In fact, they have been designed using special tread designs and sole materials for the sole purpose of protecting you against trip-related risks. They do so by channeling substances up and away from the lower part of the sole. So, what is the value that you will get from purchasing kitchen non slip shoes? Well, the paramount benefit is that your risk of falling down will be extremely low. That means you will be able to operate in and around the kitchen comfortably without the thought of falling down lingering in your head. The confidence and peace of mind provided by non slip kitchen shoes will enhance your mobility and thus productivity. That means you will be able to move faster and to any location of the kitchen or diner. Therefore, you will become more efficient. A side benefit of non slip chef shoes is that you won’t have to install special floor mats in your kitchen. That translates to lower kitchen expenses for you; which is a good thing regardless of whether you own the restaurant or not. Men’s chef shoes are generally longer and broader than women’s. Of course, that is only natural because most men have bigger feet than women. That being said, it is important to note that the best chef shoes for men have better features than simply size. Here are five such shoes from which you can choose. 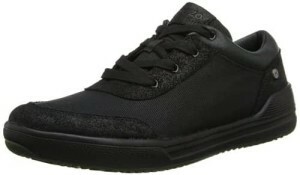 These non slip and oil resistant shoes are made using leather/textile. They feature a rubber sole and an 11/2-inch heel. Townforst manufactures some of the best kitchen shoes for men and this offering is no different. It features leather material that has been customized and made to be very light in weight. 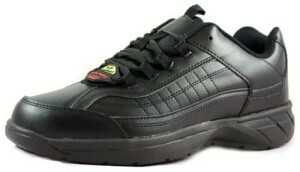 If you are looking for fashionable, classy and stylish chef shoes that you should get this pair. They are so presentable that you can wear them with a tuxedo or to a formal event. Style is not their only benefit. 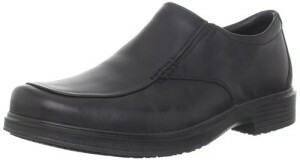 These chef shoes for men are perfect for you if you are looking for a pair with a slip-on design. As far as non-slip technology goes, they have been designed to exceed the American Society for Testing and Materials (ASTM) F1677-96 Mark II standard. These shoes are among the most durable in the market. That should not come as a surprise considering they are made of high-quality leather and rubber sole. They also feature a padded collar and goring inserts. Women’s chef shoes are typically thin, short and have higher arches compared to men’s. There are two main reasons behind that design; first, most women have smaller feet than men and second, they have higher arches on their feet. So, if you are interested in purchasing women chef shoes, what are some of the best options for you? Check out our top 5 picks. 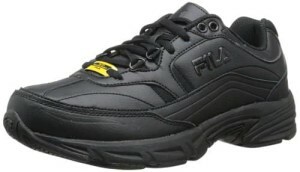 These are among the best chef shoes for women not only because they come with the strong Fila brand but also feature a genuinely great design. Their non slip technology to exceeds the American Society for Testing and Materials (ASTM) F1677-96 Mark II standard. 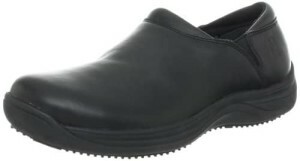 These work clogs make perfect chef shoes for women because of their comfy cushioning, all-leather upper side, light weight, and impressive arch support. They have a heel that measures about 1.25″ and a platform that measures 0.75″. One of the most amazing features of these shoes is their abilities to protect your toes. 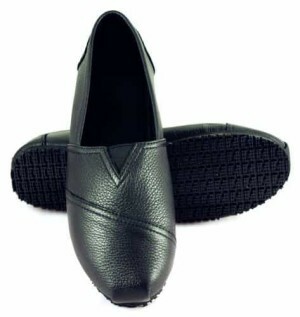 They are also very easy to slip-on and their leather top make them kind of rugged, comfortable and durable. 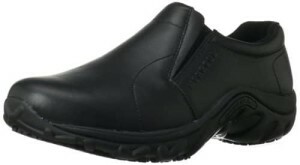 These lightweight and flexible work shoes are perfect if you are on a budget. They have virtually every feature that you need in a chef shoe; including slip resistance, oil resistance, and simple slip-on design. The company uses patented Townforst technology to make the outsole. 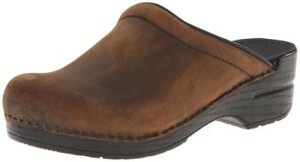 Dansko makes these shoes in a variety of colors. They feature a leather top, 2″ heel and 1″ platform. The fact that they are oiled makes the leather material oil resistant and thus ideal for your kitchen work. They are very easy to slip-on and embark on your activities without wasting any time. There you have it – a comprehensive guide on how to purchase chef shoes. Remember that the factors to consider are all very important and the more you get in a shoe the better it will be. Simply go through the list of recommended shoes and choose one that has all the features that you are looking for.